Hi!!! Long time no see. It’s almost AP/IB exam time so everyone is frantically trying to wrap up the year. I’m a freshman so I’m not taking any APs or IBs, but the stress is definitely in the air. 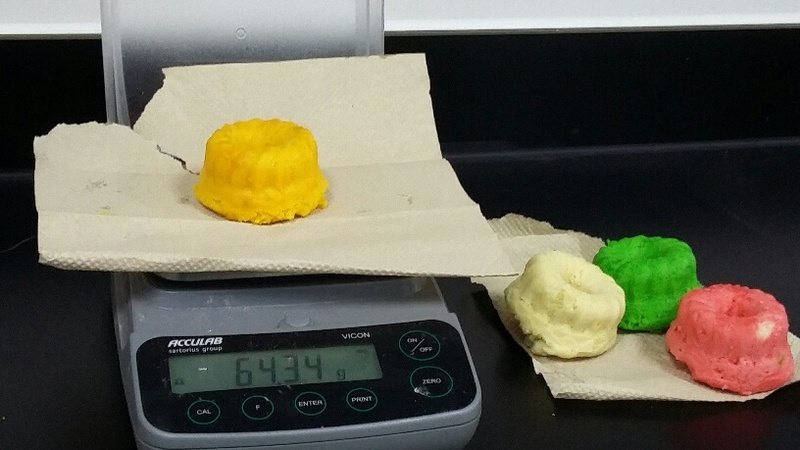 The projects, essays from my classes have pretty much cut out any cooking time, with one exception: Science. 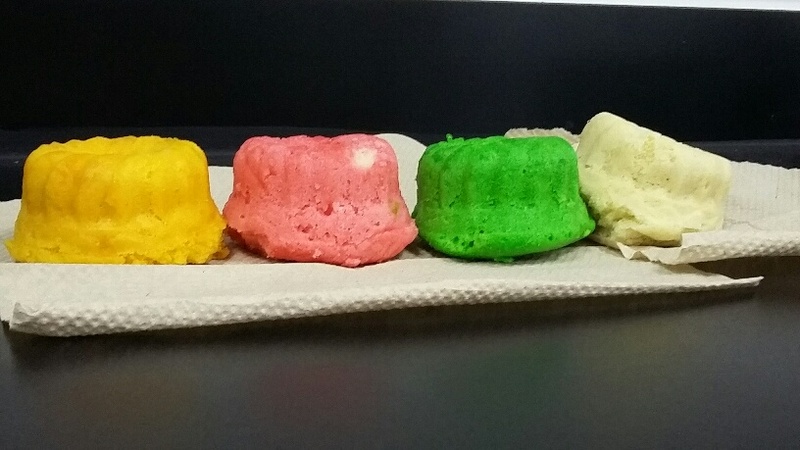 For our “final” in science, the teachers assigned us an independent project. 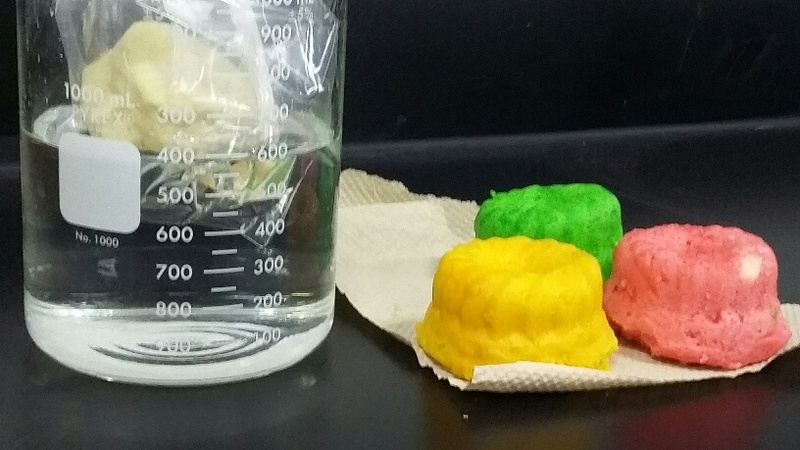 Basically, us students get to choose a topic and create/perform an experiment, then write a lab report. It took me about three seconds to come up with a topic: Baking- I wanted to create my own baking powder. My teacher, chemist and foodie, was more than willing to help. YAY!!! It consists of four parts: Baking soda, monocalcium phosphate monohydrate, sodium aluminum phosphate and cornstarch. 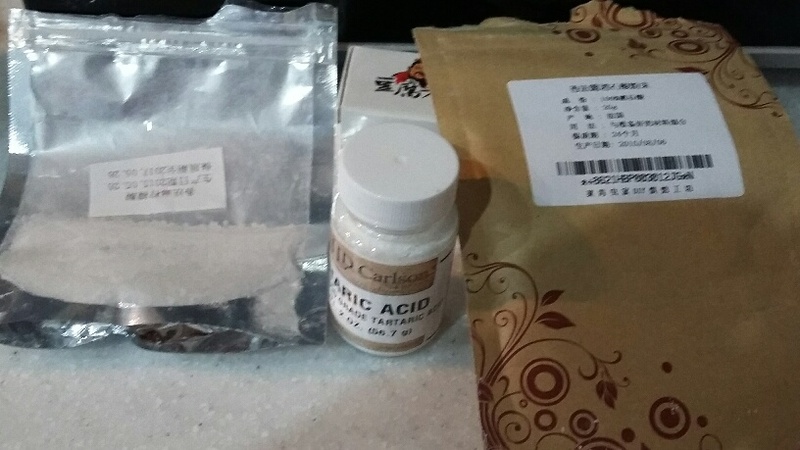 they eventually arrived and we got some pretty strange packages and with some stociochemistry to figure out how much acid is needed to neutralize the base, I could get started. 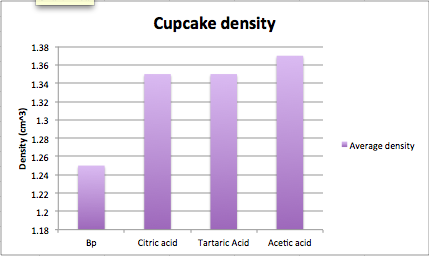 Clearly, the cupcakes with baking powder rose the most, but the tartaric acid mixture was second. 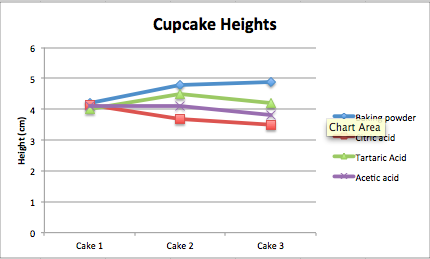 As for taste, out of the 15 people who tried the cupcakes, 13 said they all tasted the same, so no worries there. Anyways, sorry for the long post. I hope you enjoyed all the science behind cooking. Have a great week!